Il y a quelques jours, Nathalie Griesbeck organisait, à Bruxelles, en partenariat avec Terre des Hommes International, une conférence « Closing a protection gap for European Children on the Move » sur la question des mineurs non accompagnés et des mineurs en situation de migration (ou « on the move ») en Europe. « Nous devons surmonter la « catégorisation » des enfants en Europe, une catégorisation des enfants selon leur statut administratif, leurs vulnérabilités, leur nationalité, leurs origines, etc. qui créé une fragmentation dans la protection des enfants et laissent de nombreux enfants non protégés! » a déclaré Nathalie Griesbeck dans son discours d’ouverture et devant près de 60 personnes, représentant des ONG, les Etats, les institutions européennes. European Children on the Move in Europe are not adequately protected. Brussels, March 5th, 2015: European Children on the move are not adequately protected in Europe. We need to establish holistic systems that protect all children without discrimination, including those having an EU citizenship and moving within Europe. We need to reinforce transnational cooperation among States. We need to overcome “categorisation” of children that can lead to discrimination. 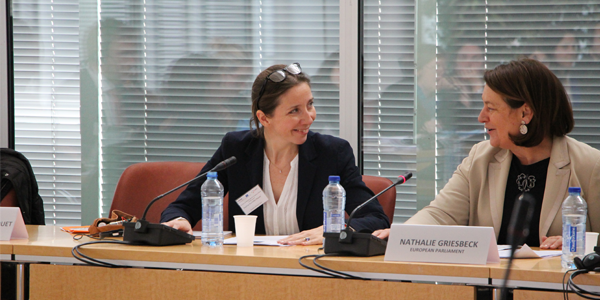 Those were some of the recommendations discussed during the European Public Conference ‘Closing a protection gap for European children on the move’ under the patronage of Member of the European Parliament Nathalie Griesbeck. 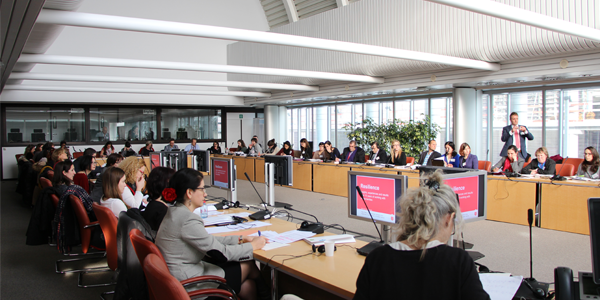 The conference was organized in the framework of the Mario project, a pan European child protection project led by Terre des Hommes, with the support of the European Commission and the Oak Foundation. We must overcome the “categorisation” of children in Europe based on their administrative status or nationality, as this leads to situations where European migrant children fall in between the cracks of the system in Europe, and thereby falling short of any protection opportunity in our countries” urged MEP Nathalie Griesbeck in her conference opening to sixty participants, among them, twelve representatives of EU Member States, officials from EU institutions, professionals, NGOs and specialized international organizations. Ms Candice Daghestani from the Directorate of the protection of the Youth in the French Ministry of Justice acknowledged the difficulties raised by children on the move from Europe and confirmed that currently in France the only European children in vulnerable situations that come to the attention of authorities are those who commit petty crimes and “are considered as delinquents, though they may be victims of exploitation and trafficking. Therefore the only existing entry door for European children is through the criminal justice system”, rather than the social protection system. Ms. Linda Maizener from the French Ministry of Justice called for concerted policy and operational actions at EU level to “ensure a better level of transnational collaboration between countries”. Ms. Margaret Tuite, the European Commission Coordinator on the Rights of the Child, emphasized these gaps in the crossborder and transnational cooperation, especially when there is a need to contact professionals responsible to deal with children in need of protection from another Member State. 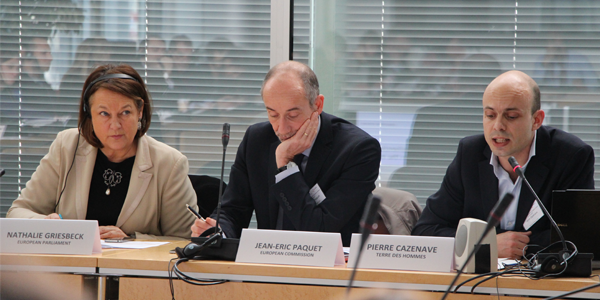 She also alluded to some added value in EU actions aimed at addressing such challenges. 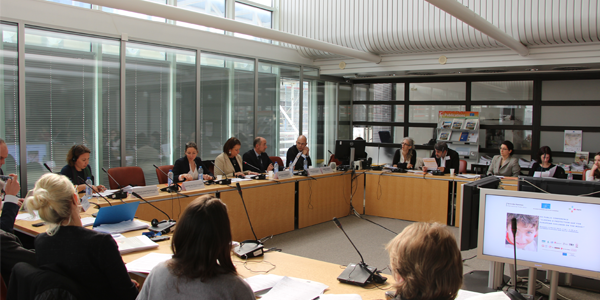 the “children on the move who need protection are visible in our daily lives, we can see them in cities like Brussels. Mario project gave a voice to these many children who have been invisible in policy dialogues in spite of their visibility in everyday life of all of us”, a paradox that the project will hopefully contribute to successfully end. The phenomenon of intra-EU migration of children is both important in its scale and challenging in its nature: it is estimated that thousands of children migrating within the EU in search of dignity end up in extremely vulnerable situations and left out of the systems since their status of EU citizens excludes them from specific services accessible only to foreign children coming from outside the EU, resulting in a state of de facto discrimination since national child protection systems responsible for their protection are not adapted to their needs. The conference launched five transnational research reports that documented and analysed the factors that contribute to making European children vulnerable in their transnational endeavours and aimed at raising the awareness of Member States and European Union officials on an important and persistent protection gap that paradoxically prevents European children and families migrating within the European Union to access protection opportunities due to their citizenship, in contravention with Article 2 of the UN Convention on the Rights of the Child. As indicated by the 143 Romanian, Bulgarian and Albanian children in street situation in Greece, Italy, The Netherlands and the Former Yugoslav Republic of Macedonia who shared their difficult migration experiences with the teams of the project Mario, their situation is extremely precarious. The vast majority of them live in shanty towns or overcrowded apartments with limited access to water and sanitation. They are out of school and work in hazardous conditions in the streets with no access to any protection service whatsoever. La Fédération internationale Terre des Hommes (FITDH) est une organisation non gouvernementale de solidarité internationale qui agit pour la mise en œuvre des conditions d’un développement durable, socialement juste, écologiquement et économiquement viable, au Nord et au Sud, en particulier par la défense des droits de l’enfant grâce à la Convention des Nations Unies sur les droits de l’enfant. C’est en 1960, que l’association originelle Terre des Hommes est fondée par Edmond Kaiser, un pharmacien de Lausanne. Il quittera l’association en 1980. Sous le nom de Terre des hommes coexistent désormais plusieurs organisations juridiquement indépendantes qui collaborent sous l’égide de la Fédération Internationale Terre des Hommes (FITDH). C’est en 1966 que les diverses organisations nationales de Terre des Hommes se sont réunies pour former la Fédération Internationale Terre des Hommes qui a son siège à Lausanne. Aujourd’hui, onze organisations du Danemark, de l’Allemagne, de la France, de l’Italie, du Canada, du Luxembourg, des PB, de la Suisse, de l’Espagne et de la Syrie appartiennent à cette fédération. Dans le cadre de ce projet, 5 recherches « transnationales » principales ont été faites : en Grèce, Italie, Belgique, Pays-Bas, Kosovo et FYROM. Ces recherches portent notamment sur les défis concernant l’accès aux systèmes de protection des enfants provenant des Balkans occidentaux (Albanie, Kosovo, etc.). 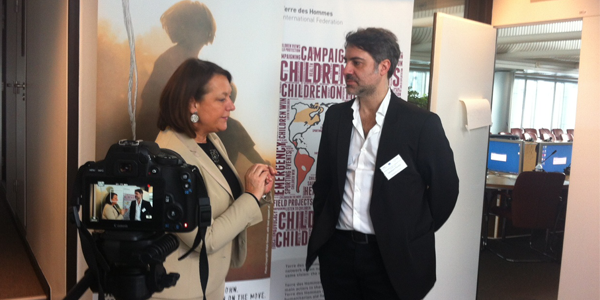 Le projet Mario fait partie de la Campagne internationale de Terre des Hommes « Destination Unknown Campaign » pour protéger tous les enfants « on the move » en Europe et dans le Monde.